Designed to accommodate most 17 37 TVs up to 55lbs, this flat panel wall mount elevates your screen to the optimal viewing angle, while providing a 180 swivel left to right and tilt of -15/+15 up and down. The mount also extends up to 17 inches and retracts to a discrete 2 inches from the wall. For a polished look pair this wall mount with your favourite CorLiving TV or component stand. Solid mounting plate matches VESA 75x75, 100x100, 200x100 and 200x200. Barkan LED/ LCD/ Plasma Fixed Wall Mount. Barkan has more than 27 years of experience in designing and manufacturing TV mounts and electronic devices in more than 40 countries worldwide. All of Barkan's products pass rigid quality control and all TV mounts include a life time warranty as well as a Fall Proof system that prevents disengagement of the screen. Barkan Flat & Curved TV Wall Mount with 4 Movements - Rotate, Fold, Swivel & Tilt. Barkan has more than 28 years of experience in designing and manufacturing TV mounts and electronic devices in more than 50 countries worldwide. All of Barkan's products pass rigid quality control and all TV mounts include a life time warranty as well as a Fall Proof system that prevents disengagement of the screen. Barkan LED/ LCD/ Plasma Wall Mount with Tilt option. Barkan has more than 27 years of experience in designing and manufacturing TV mounts and electronic devices in more than 40 countries worldwide. All of Barkan's products pass rigid quality control and all TV mounts include a life time warranty as well as a Fall Proof system that prevents disengagement of the screen. Fits most flat panel TV's from 23" - 46" and holds up to 121 lbs. Tilt your TV up to 15 degrees to eliminate any pesky glare from windows and lights. The built in level allows you to mount your TV with ease and precision. This CJ Tech mount spans 2 studs for an excellent footing so you know your TV is securely fastened. 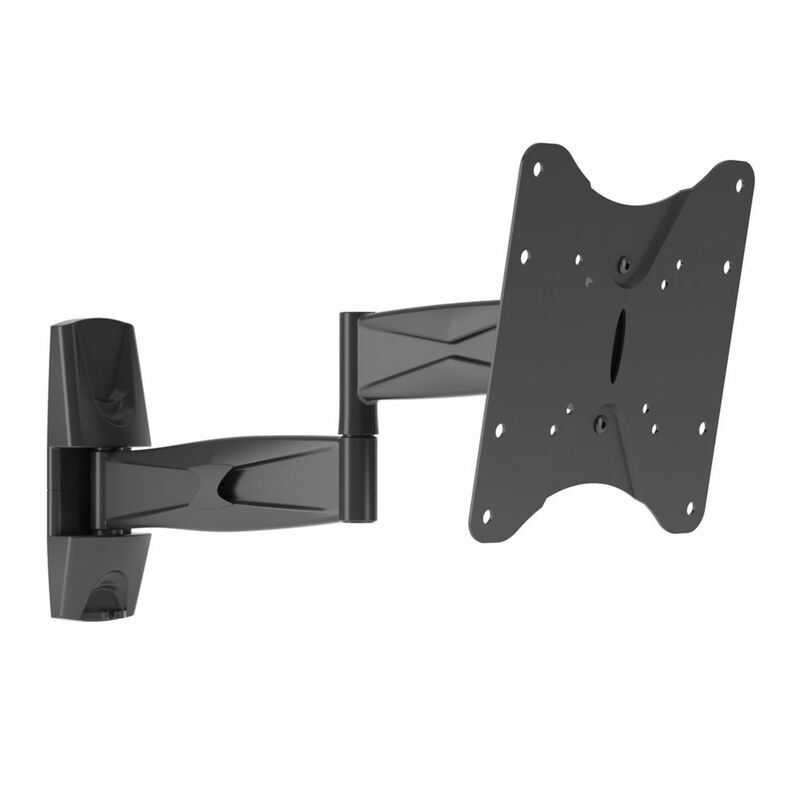 A-202-MLM Articulating Flat Panel Wall Mount Designed to accommodate most 17 37 TVs up to 55lbs, this flat panel wall mount elevates your screen to the optimal viewing angle, while providing a 180 swivel left to right and tilt of -15/+15 up and down. The mount also extends up to 17 inches and retracts to a discrete 2 inches from the wall. For a polished look pair this wall mount with your favourite CorLiving TV or component stand.